Human action recognition, Crowd counting, and tracking, Anomaly detection, Object segmentation, Complex event detection, Automatic weakly labeled annotations. Waqas Sultani completed his Ph.D. in Computer Science under Professor Mubarak Shah at Center for Research in Computer Vision, University of Central Florida. Before this, he earned MS from Seoul National University, South Korea under the supervision of Professor Jin Young Choi at Perception and Intelligence lab. He received his BSc in Electrical Engineering from University of Engineering and Technology, Taxila. He has worked on several projects related to human action recognition, anomaly detection, crowd tracking, anomaly detection, object segmentation, complex event detection and automatic weakly labeled annotations. He has worked on projects funded by US Intelligence Advanced Research Projects Activity (IARPA), US Data Transport Solution (DTS), US National Institute of Justice (NIJ), US Xerox Research and Samsung Electronics. He has published several research papers in top computer vision conferences and journals. In addition, he holds two US patents. In 2014, he worked for Xerox Research Center, New York. 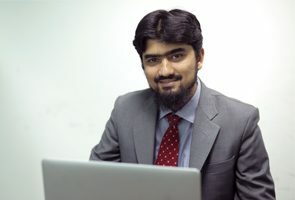 He also worked for around two years in Advanced Engineering Research Organization (NESCOM) and one year in COMSATS Institute of Technology, Islamabad as a Lecturer.